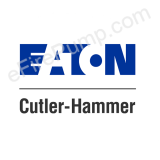 Replacement Parts for Eaton Cutler-Hammer Electric Fire Pump Controllers with Automatic Transfer Switchers or Stand-Alone Automatic Transfer Switches. Please contact us with any questions or parts that are not listed. We ship most parts within 1-2 days.